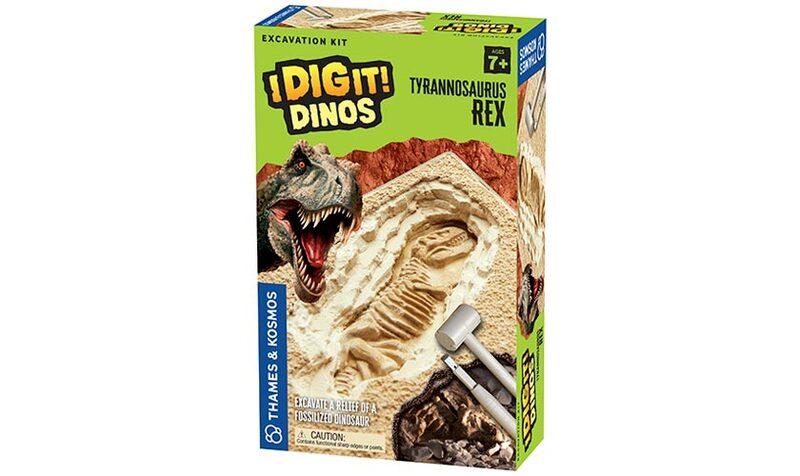 Play the role of a paleontologist and excavate a replica of a dinosaur fossil relief all by yourself. 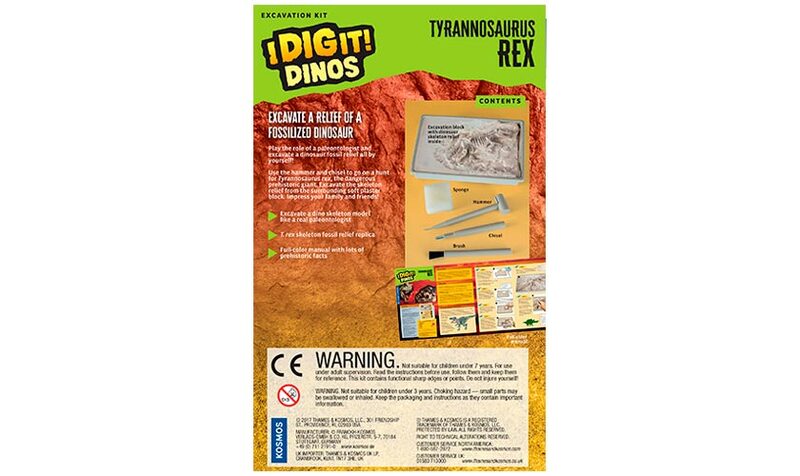 Use the hammer and chisel to go on a hunt for Tyrannosaurus rex, the dangerous prehistoric giant. 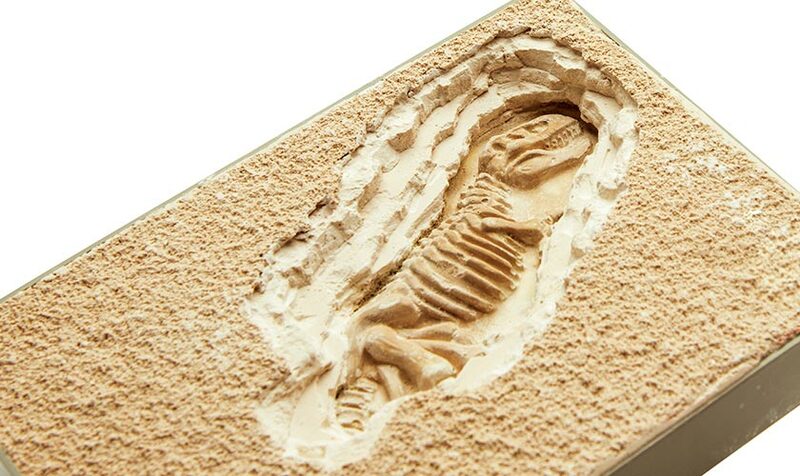 Excavate the skeleton relief from the surrounding soft plaster block. The kit includes the skeleton relief buried in a plaster block, excavation tools, and a descriptive manual.